Keith’s had a clear out and found quite a few old bits of camera equipment in various drawers and cupboards. So, what’s worth using and what’s not? Many lenses are very easy to use with appropriate adapters, I’ve already got adapters for M42 screw fit and Olympus OM fit. Both came at quite reasonable cost from eBay. A quick search for ‘EF adapter’ will find several. You may hear people on the forums say that cheap adapters are to be avoided. However I’m of the opinion that this frequently comes from those of the ‘sharpness trumps all else’ school of photography. I know some people collect vast piles of old kit and use it just for the sake of it, well that’s a fine hooby, but from my own POV, it ain’t why I enjoy photography. If you are looking for an adapter for a £2500 digital medium format lens, then it’s probably worth spending a bit more on an adapter than for a lens that would have difficulty raising £5 at a photographic bring and buy sale. 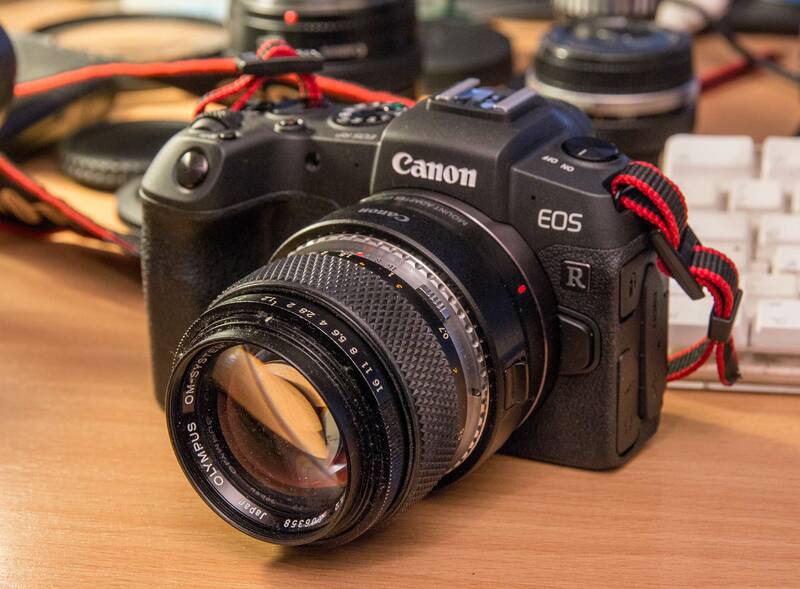 Right, an OM2 mount Tamron 35-70 CF Macro on a 1Ds3 – Why?? 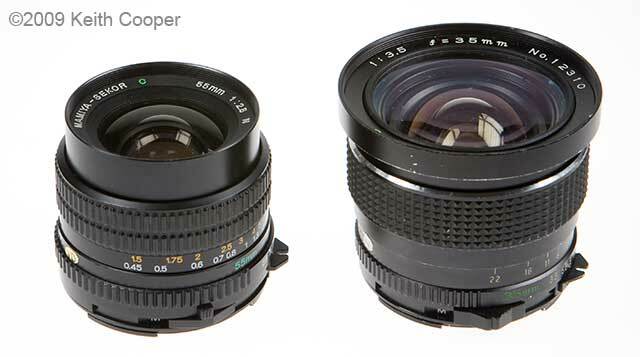 I’m just doing this for an experiment – If I want real sharpness and image quality, I already have lenses costing an awful lot of money, but who knows what I might find? 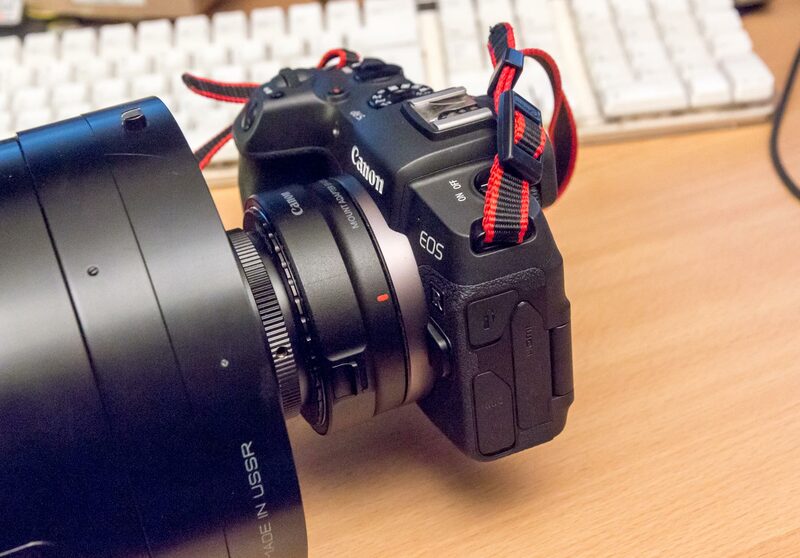 Other DSLRs also take adapters, however some need an adapter with a lens in it to allow for infinity focusing (i.e. 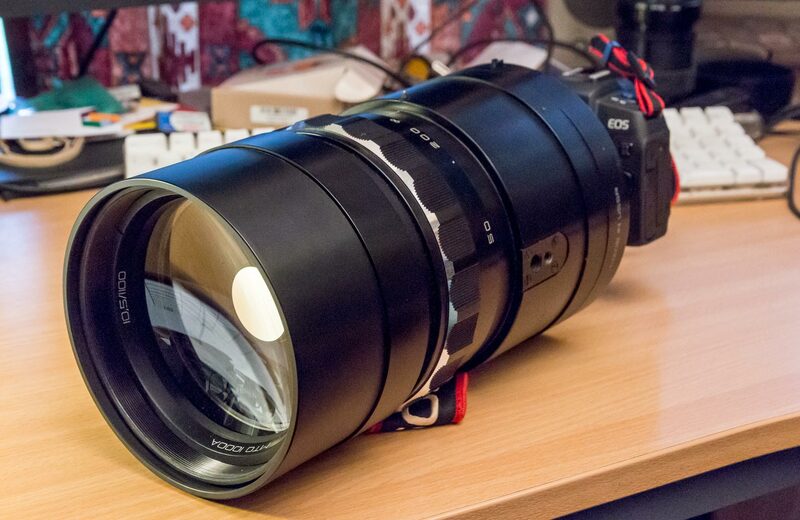 the lens will only focus short of infinity – not a problem for macro use). I suspect that much of the stuff tested here may well find itself on eBay some time, since being a professional commercial photographer, I’ve got a fair collection of Canon ‘L’ series lenses, which are not only very good quality, but have working autofocus, something you won’t get with old lenses. 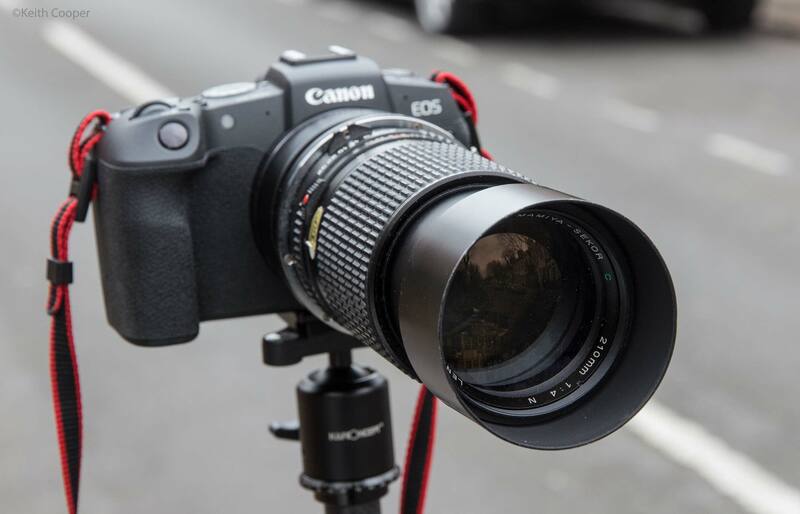 The Canon EF mount is a very flexible design – you can see how much bigger it is than the M42 screw mount to the right. 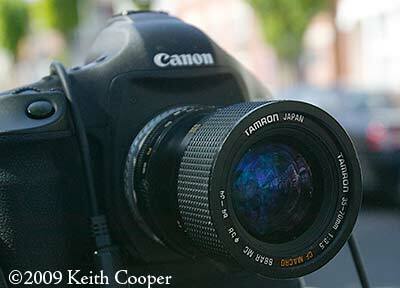 Note that there is no mechanical activation of the aperture stop-down for the lens. 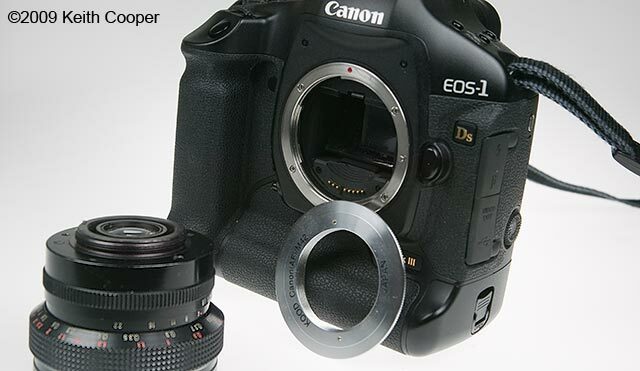 You will have to manually adjust the aperture ring of the lens (and you will forget sometimes). Detailed view showing M42-> EF and EF->RF adapter. I’ll add items to the list as I find them. These are not detailed lens tests, more aimed at giving a feeling for what the lens is like. I’ll try and include a few comparative images. …and any more ‘junk’ I find in all the various boxes and cupboards here at Northlight. 3rd party primes – Are they worth buying, or is it a big con? 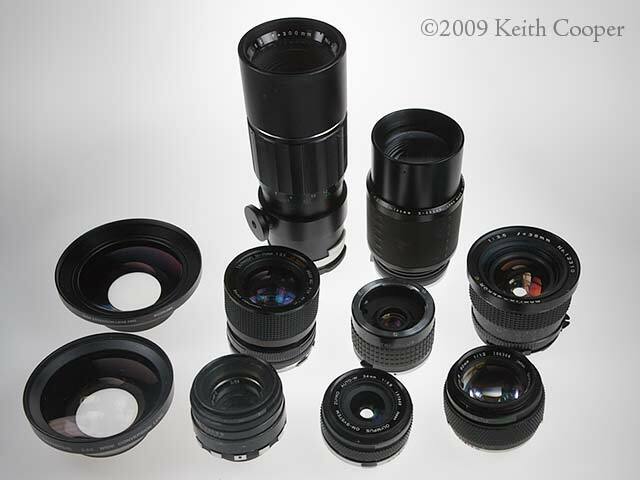 Alternative lenses – Forum on the Fred Miranda site with lots of info on using different lenses. The 1Ds digital pinhole SLR camera A Canon 1Ds pinhole camera, making a 50mm 'standard' pinhole and a 200mm zoom version - results are compared to a lens some £1400 more expensive. 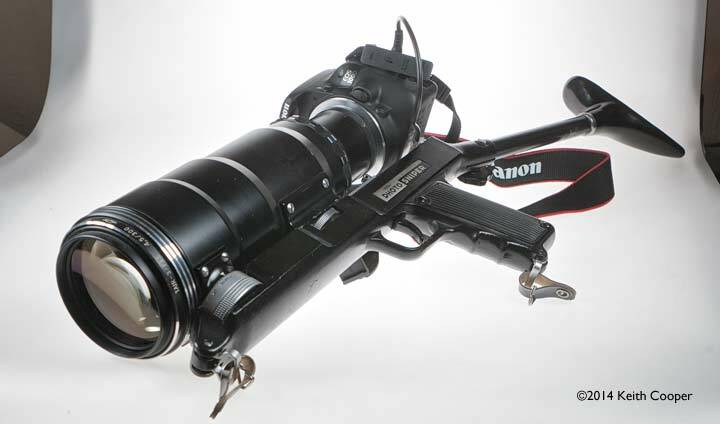 Canon View Camera An adapter ($20) to use an old MPP 5x4 view camera with a Canon 1Ds. Article shows details of construction and just what it can be used for. 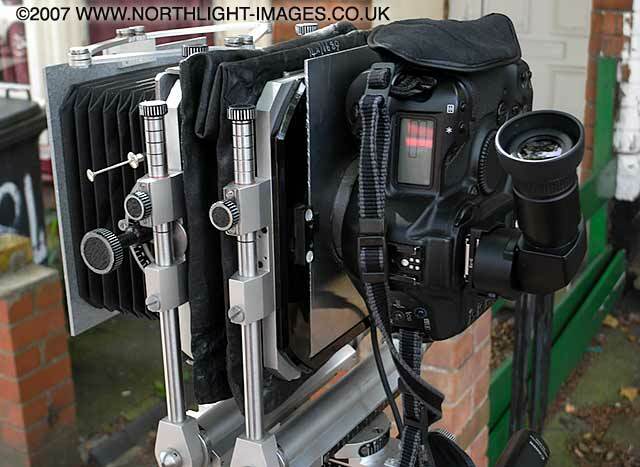 Could be adapted for any DSLR and many old large format cameras.